Home » events » Proudly Announcing 2012-2013 Shinnyo Fellows! Proudly Announcing 2012-2013 Shinnyo Fellows! Shinnyo-en Foundation is proud to announce the following individuals as 2012-2013 Shinnyo Fellows. 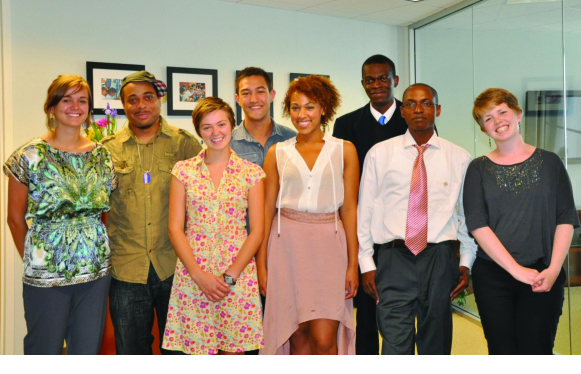 George Mason University • Kwaw de Graft-Johnson • Sixte Vigny Nimuraba • Sarah Parshall Seattle University • Alexandra Cratsenberg (Summer Fellow) • Stuart Haruyama (Summer Fellow) • Alex Hopkins (Summer Fellow) • Jacqueline Shrader (Summer Fellow) • Andy Vanderbilt (Summer Fellow) • Chris Clem • Joyce Keeley • Amy Tower UC Berkeley • Rahkii Holman • Liliane Laborde-Edozien Please click the link here to learn more about who they are and what they are inspired to pursue during their Shinnyo Fellowship! What’s a University Shinnyo Fellow? With support provided by Shinnyo-en Foundation, each of the following three universities, George Mason University, Seattle University and University of California, Berkeley, advertises for the Shinnyo Fellows Program on their respective campuses, and recruits and selects Shinnyo Fellows who are dedicated to peacebuilding through service each year. In addition, each university administers and supervises the Shinnyo Fellows for an academic year on their campuses. What Do the Shinnyo Fellows Do? 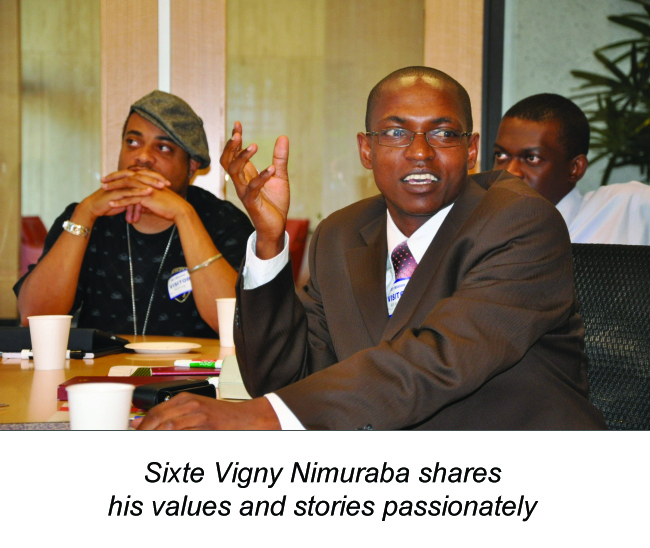 Once appointed, the Shinnyo Fellows will introduce, implement and/or institutionalize Shinnyo-en Foundation’s Six Billion Paths to Peace project on their university campuses and/or the communities of their choice. Both undergraduate and graduate students from diverse disciplines and backgrounds have participated in the Shinnyo Fellows Program. 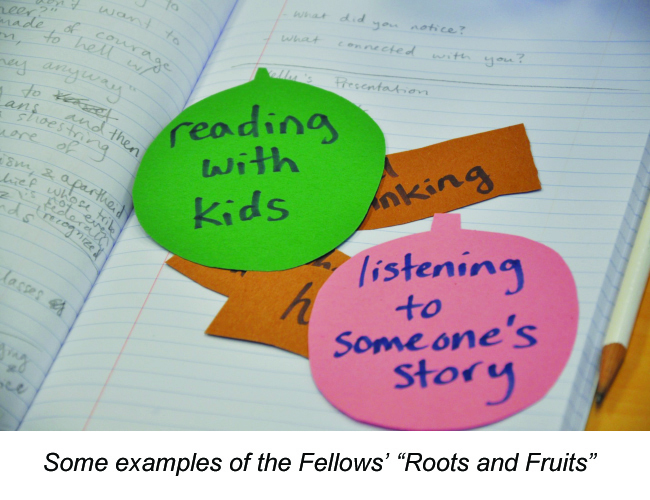 The Fellows receive leadership training, individual and group guidance, and have the opportunity to connect with other youth, faculty and national leaders in this field. Who Are This Year’s Fellows? Prior to becoming Shinnyo Fellows, several of this year’s Fellows have served, volunteered, or worked in African countries or in the South America. We have a group of truly accomplished and international Fellows who wish to continue their pursuit of peacebuilding through the Shinnyo Fellowship. 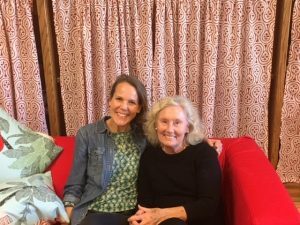 Starting with learning more about own values and self-identities, they began exploring ways in which they could create harmony within themselves, creating harmony with others, and creating harmony with other organizations and institutions. Their supervisors, Elavie Ndura from George Mason University, Kelly Benkert from Seattle University and Mike Bishop from UC Berkeley, all guided the Fellows’ reflection, acknowledged self-identify, and supported the process of formulating their initial ideas for their peace and service projects. At the end of the Summer Orientation, the university students have sailed off to begin their own journey as Shinnyo Fellows and peacemakers!